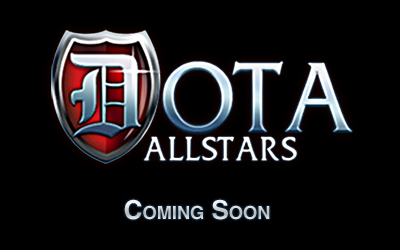 Santa Monica, California - Steve "Pendragon" Mescon, owner of the now defunct DotA All-Stars website, has recently changed the Dota-allstars.com homepage to display an image hinting the return of one of DotA's largest fan sites. Steve Mescon closed down the fan site in 2009 amidst heavy criticism for blatantly advertising Riot Games' League of Legends, widespread community boycott and Icefrog's official departure from the community forums. Some of you may know me; many of you probably won’t these days. 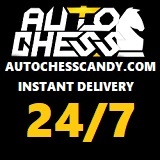 This website was born on October 14th, 2004. It was a mere 2 months after I turned 18, and it was the first website I’d ever made. Guinsoo was the lead developer (before Icefrog), DotA had no competitive scene and maybe 5% of the players that it does today. In the years that followed, the site turned from a small forum with only 30,000 users to a massive community with over a million visitors every month, a million page views every day, and a staff of over 100 volunteers. It’s been incredible discovering the generosity of individuals who selflessly donate their time to create a positive experience for others. In the summer of 2008, I met Guinsoo in real life for the first time. He and his boss were in town and they wanted to meet up and go out for a steak, (how could I say no!?). I soon learned that they were working on a game based on DotA, free from all of the limitations of the Warcraft III engine and Battle.net. Several months after meeting them and after several trips to their offices to learn more about the project, I joined the Riot Games team working on League of Legends. When I first joined the team in September of 2008, my original intent was to work on League of Legends full time and continue to build DotA-Allstars.com into an awesome thriving DotA community after Icefrog’s departure. While I originally intended to leave this out of this letter, in light of the fact that this information is now out in the open, I think it’s important to set the record straight. Many believe that Icefrog left because I wanted to commercialize, and he did not. In reality – I had learned that Icefrog had been secretly working for S2 Games after conducting a series of meetings where he was attempting to sell a full DotA game concept to a number of companies (including Riot). The differences of opinion that we had were merely that I chose to be transparent and honest about the project that I was working on, and the direction my career was going. The traffic on the website slowly began to decline, settling where it’s at now (about 50% of where it was a year ago), and I recently realized that I had a decision to make. I could either continue to say that I would rebuild the website as a strong DotA community, knowing that my heart wasn’t really in it, or I could archive the site, ending an almost 6 year chapter of my life that I’ve invested thousands of hours into. Ultimately I believe that the right decision here is to not trick myself into thinking that this site will be rebuilt into what it once was, and to shift my full focus and time to my new project, with an eye towards the future. This website and the DotA community will always hold a special place in my heart. It’s been an amazing experience working with so many wonderful people and gaining so much insight about communities, people, and ultimately myself. There are more people deserving of thanks than I could possibly remember – so rather than leaving anyone out, I’ll simply thank everyone who has volunteered or contributed to this site over the last few years, and everyone who helped make it one of the premier DotA websites in the world. The website will be offline for the next week or so while the database is moved to its new permanent home where its contents will remain archived and available to the public for the sake of historical preservation. Steve "Pendragon" Mescon currently works for Riot Games as League of Legends' community manager and has issued various remarks against Valve's use of the name, Dota 2.